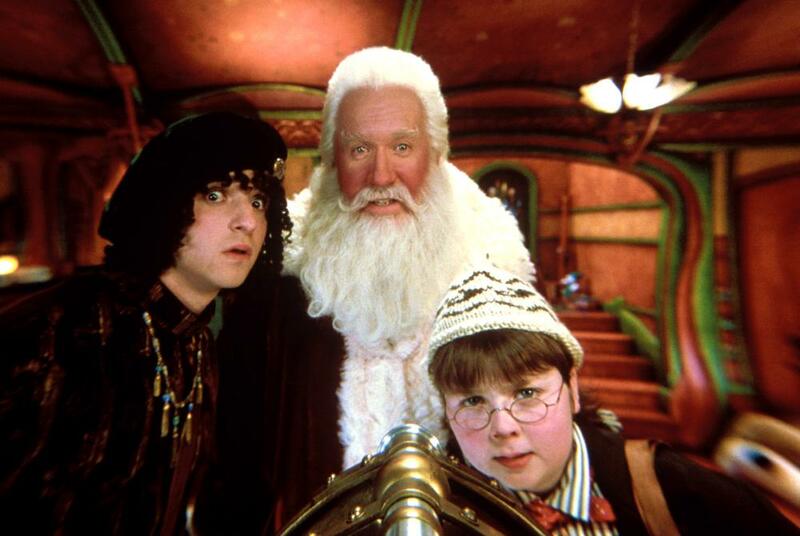 It feels like Christmas in June after two stars from the Santa Clause franchise reunited more than a decade after the Disney trilogy concluded. On Thursday (June 1), Tim Allen (Scott Calvin/Santa Claus) performed at the comedy club Laugh Factory in West Hollywood, and later met up with his former costar and North Pole neighbor, Spencer Breslin (Curtis the elf). The duo worked together on both The Santa Clause 2 and The Santa Clause 3: The Escape Clause, as well as The Shaggy Dog. And just in case you didn't already feel old, the latter two films premiered 11 years ago. "Date night with @tamepunk leads to catch up with Tim. It was a good night," Breslin captioned, while cheesin' with girlfriend Grace Tame and Allen. Tame also shared the pic on her own Instagram with an A+ caption: "The Tool Man and two fucken tools." Breslin looks much different today than he did in the Santa Clause films, having ditched the big glasses and dyed his hair blond. The 25-year-old actor is now busy with his band, Broken Machine. Meanwhile, Allen has spent the past several years filming his sitcom, Last Man Standing, and is reprising his role as Buzz Lightyear in Toy Story 4.